Source Citation: Dictionary of American Biography and Genealogy of the Bliss Family in America. Eliphalet Williams Bliss (Apr. 12, 1836 - July 21, 1903), manufacturer, was one of the six children of John Stebbins Bliss, a physician and farmer whose ancestors had settled in Springfield, Mass., and of Ruby Ann (Williams) Bliss. He was born at Fly Creek, Otsego County, N. Y. Educated in the public schools and at Fort Plain Seminary, the boy spent his life on a farm. A pronounced mechanical bent, however, led him to an apprenticeship in a machine shop in Otsego County, where he remained until the age of twenty-one. Seeking wider mechanical opportunities, he moved to New England and obtained work in the Parker gun factory in Meriden, Conn., where he was soon advanced to the position of foreman which he held for seven years. During the Civil War he served as a corporal in Company I of the 3rd Connecticut Volunteers. An older brother, Lucien Wood Williams Bliss, was a major in the Confederate army. Following the war Bliss returned to Fly Creek, N. Y., married Anna Elizabeth Metcalf on June 19, 1865, and in the following year located permanently in Brooklyn, N. Y., where he was employed for a short time with the Campbell Printing Press Company. In 1867 he founded the machine shops which through his ingenuity and perseverance were to grow into the E. W. Bliss Company and the United States Projectile Company, concerns which at his death employed 1,300 men. Bliss's mechanical interests developed along two lines: the manufacture of tools, presses, and dies for use in sheet metal work, and the manufacture of shells and projectiles. For the former numerous patents were taken out, either his own inventions or patents assigned to him. Under his own name are machines for manufacturing and soldering metal cans and for shaping and casting sheet metal. One of the important orders which the company obtained was for part of the material used in the Brooklyn Bridge. From the time when Bliss had worked in the Parker gun factory, he had been interested in projectiles, and with the development of his machine shops he naturally turned to this phase. 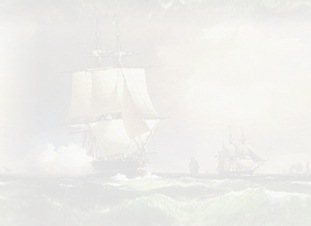 The E. W. Bliss Company obtained control of the patents for the manufacture of the Whitehead torpedo in use in the navy, while the United States Projectile Company during his later life manufactured most of the shells in use in the large guns in the navy. In addition to his machine shops Bliss was deeply interested in the development of Brooklyn. He invested heavily in real estate, was vice-president of the Brooklyn Heights Railroad and of the Brooklyn Gas Fixture Company, and was a director of the Kings County Trust Company. 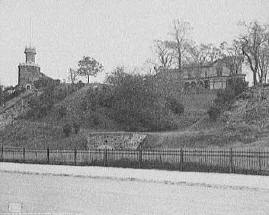 His residence, "Owl's Head," located on the heights of Bay Ridge, contained an observatory which swept the harbor and was long one of the "show estates" of Brooklyn. In his later years Bliss devoted much of his time to club activities. He was an active member of the leading New York and Brooklyn social and athletic organizations, particularly the latter, maintaining a membership in five important yacht clubs. The bulk of his large estate went to his widow, with some provisions for the Episcopal Church of Bay Ridge, of which he was a member, and for the maintenance of the E. W. Bliss Kindergarten which he had supported during his life.